The sight of legendary Spanish goalkeeper Iker Casillas sobbing into a press-conference microphone as he bid farewell after 25 years with Real Madrid shouldn’t merely sadden Real fans nostalgic for past glories. It should send them charging to the gates of the Bernabeu, torches blazing and pitchforks aloft. Casillas, who is on his way to Porto, is the highest-profile victim of the internecine political feuding that has consumed Real since megalomaniacal businessman Florentino Perez returned as president in 2009. In a recent tell-all interview with El Mundo, Casillas’ parents claimed that Perez had long hoped to replace Casillas, whom he allegedly considers too “short” to play in goal, with a signing of his own. “It’s been an attempt to hunt him and destroy him,” Casillas’ father said. Perez has faced widespread criticism for his management of Casillas’ final weeks at Real. In May, after Real failed to win a single major trophy for the second time in three seasons, Casillas emphatically declared, “I can’t conceive of myself at any other club next season.” Nevertheless, Perez proceeded to conduct a very public flirtation with Manchester United keeper David de Gea, who grew up in Madrid and reportedly “dreams“ of playing at the Bernabeu. Sunday’s press conference was a half-hearted affair noticeably bereft of the fanfare that usually accompanies the departure of a club legend. Given Casillas’ poor form, the decision to sell him seems perfectly defensible. But the years of rancor – the accusations and counter-accusations, the rumors of dressing-room unrest, the personality clashes – that precipitated his on-field decline raise uncomfortable questions about Perez’s player management. The September international break is universally despised. It inaugurates a new round of boring qualifiers, brings the daily news cycle to a standstill, and forces fans to wait two weeks to see their teams’ deadline-day signings in action. Moreover, most of the games take place on Monday or Tuesday, so the first weekend of September is almost always devoid of soccer. During this summer’s World Cup, sports fans stayed glued to the television as star players competed for a prestigious title. 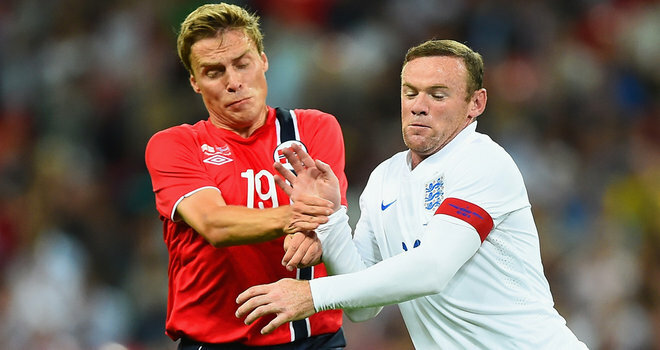 Last week, England played Norway in a half-empty Wembley stadium, and virtually no one watched on TV. That’s the great irony of international soccer: for a few weeks every four years, it attracts hundreds of millions of viewers, many of whom aren’t even soccer fans – but the rest of the time, it’s kind of a drag. 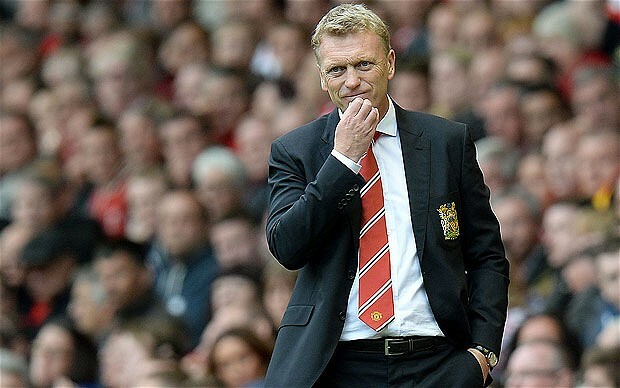 David Moyes chose a good day to complain about how Manchester United treated him. This morning’s Mail on Sunday quotes Moyes saying, “I don’t feel I was given time to succeed or fail” at Old Trafford. Yesterday, Louis van Gaal’s back-three-ified United lost 2-1 to Swansea in a game depressingly reminiscent of, erm, last season’s home defeat to Swansea. Meanwhile, Ed Woodward, United’s chief executive, has just two weeks to complete 150 million pounds’ worth of transfer deals. We have been here before. It didn’t end well. Somewhere in Cheshire, Moyes is hooting with laughter. 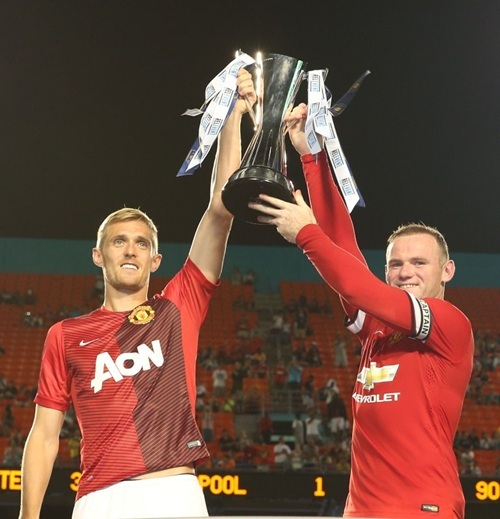 Last night, Manchester United won the Guinness International Champions Cup – or the Guinness Cup, as television commentators are instructed to call it – even though the team isn’t actually a champion. Liverpool, which lost 3-1 to United in the ICC final, isn’t a champion either. In fact, of the eight teams that entered the tournament, only three won trophies last season. This obvious inconsistency left Fox, the network that broadcast yesterday’s final, with a difficult task: to convince viewers that the game really meant something, that it was more than just an excuse for a pre-season fireworks show. JP Dellacamera pointed out that as the players lined up in the tunnel, they eschewed pre-match greetings and instead stared straight ahead, focussed on the job at hand. Keith Costigan kept insisting that the match represented Javier Hernandez’s last chance to impress Louis van Gaal before next week’s cuts. And Warren Barton touched on the same themes – bravery, spirit, intensity – that animate his analysis (if “animate” and “analysis” are even the right words) of the Champions League. It was both kind of sad and kind of funny. It was, in short, vintage Fox. The ink has barely dried on the media’s last few attempts to make sense of the joint goal-iest World Cup of all time, and football fans are already moving on. The tournament was terrific (9.25 out of 10, according to Sepp Blatter), but let’s be real here — July is all about the summer transfer window. Yesterday, Ecuadorian striker Enner Valencia, whose gravity-defying leaps made him a star in Brazil, underwent a medical at West Ham; he’s expected to sign a contract later this week. In other words, while the rest of us reveled in Germany’s midfield dynamism and Holland’s speedy counterattacks, Sam Allardyce spent the last month scouting the South American Andy Carroll. Welcome back to the Premier League, everybody. Welcome back. In the past two weeks, Manchester United and Chelsea have played The First Big Match of The Season, a more- interesting-than-most-people-think 0-0 draw; Arsenal has plunged into chaos, then suddenly recovered, almost as if the team hadn’t plunged into chaos in the first place; Aston Villa’s new defender, Antonio Luna (gangster nickname: Tony Moon), has established himself as one of the league’s most hilariously erratic players; and Swansea City’s new striker, Wilfried Bony (gangster nickname: Daddy Cool), has scored his first Premier League goal. In short, a lot has happened since Liverpool kicked off the new season earlier this month. But because the summer transfer window doesn’t close until September 2, by which point every Premier League team will have played three games, transfer speculation – stuff that hasn’t happened, like Gareth Bale’s “imminent” move to Real Madrid, and David Moyes’ attempts to sign Marouane Fellaini and Leighton Baines – is still dominating newspaper headlines. Wayne Rooney didn’t play in last Sunday’s Community Shield; he had injured his shoulder just a couple of days before kickoff. That must have been pretty disappointing. 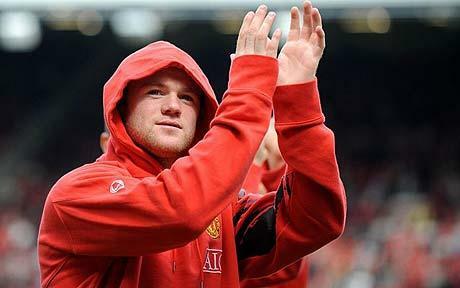 In July, Rooney pulled out of Manchester United’s pre-season tour; he had injured his hamstring just a couple of days before United’s first match. But David Moyes would likely argue that it’s irrelevant whether Rooney has systematically faked injuries in a rebellious effort to force a transfer to Chelsea, because no matter what Rooney does, United isn’t going to sell. 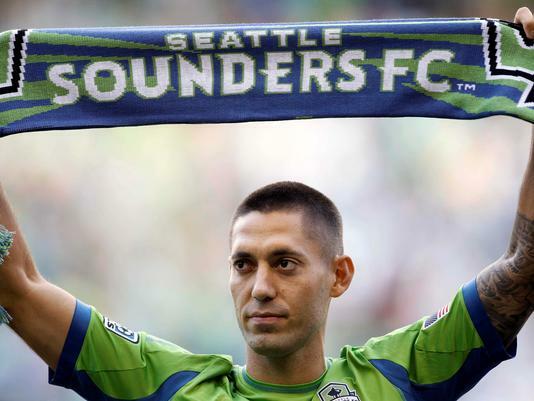 Clint Dempsey to the Seattle Sounders: This transfer is pretty baffling. Clint Dempsey is in his prime. 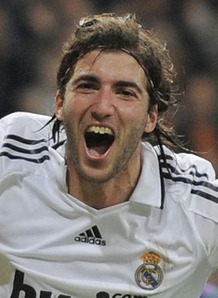 He plays for Tottenham Hotspur, which will qualify for next season’s Champions League. (You heard it here first.) 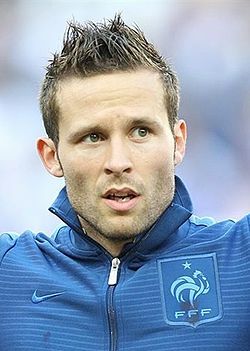 He is a cult hero. So why did he decide to leave the Premier League? I watch Major League Soccer regularly, manage an MLS fantasy team, and tolerate the incoherent bloviating of pundits like Alexi Lalas and Simon Borg. I am both an American soccer fan and a fan of American soccer. But I would love it (love it) if Dempsey stayed in England for a few more seasons. Cesc Fabregas to Manchester United: Last month, Manchester United chief executive Ed Woodward left the team’s Asia Tour to attend to “urgent business.” According to the English media, Woodward was finalizing a deal for Cesc Fabregas, who lost interest in Barcelona when it became clear that Xavi Hernandez has resilient knees. Needless to say, Fabregas hasn’t joined United – nor, for that matter, has anyone else. I’m increasingly certain that David Moyes and Woodward, who replaced the unpopular but devastatingly effective David Gill, have no idea what they’re doing. Last month, Rory Smith, a writer for ESPNFC, published an article titled “Cracking the Transfer Window Code.” Smith bills the piece as “a public service announcement” that will “help us pick our way through the endless night of summer,” then makes a few tired jokes about British tabloids (don’t believe everything you read, kids) and the transfer-window vernacular (United remains hopeful, despite rumors that want-away striker Wayne Rooney has set his heart on a move to Chelsea). The football media comprises two main groups: the mischievous news outlets that report transfer gossip as if it were fact, and the “serious” sites that run Jonathan Wilson articles and care about things like, you know, ethics. Most of the year, the serious sites are the only ones worth visiting: they feature stories about tactical trends and neurotic South American coaches, while the tabloids explore the minutiae of Cristiano Ronaldo’s love life.